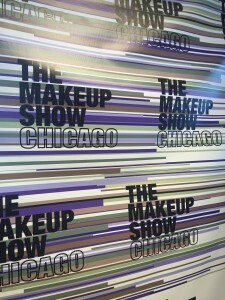 The Makeup Show is a makeup-focused trade show for professional makeup artists, special FX artists, session artists, and makeup students, that visits several cities around the country. 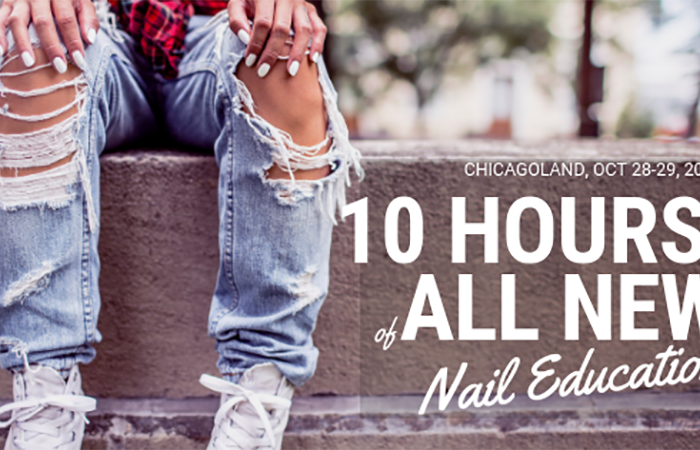 When it stopped in Chicago, I felt compelled to attend to see what nail items I could find to restock my kit. There aren’t many vendors with overtly nail-marketed items, but once I started going from booth to booth, I was surprised to find items that were intended for makeup use, that could easily be repurposed for nails. 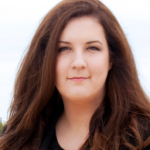 I began at INGLOT, a favorite brand of mine, as I use their Freedom palette system for concealers in my session kit. 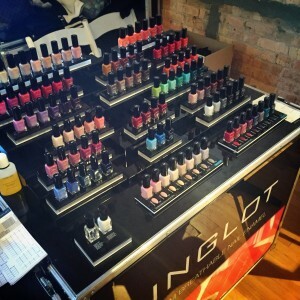 INGLOT has an extensive nail range of different textures and finishes, marketed under the O2M brand mark. The marketing suggests that the polish is oxygen permeable, allowing the nail plate to “breathe.” While I consider that claim dubious for many reasons, the colors and formula are fantastic. The other stand out for nails at the show was Static Nails. 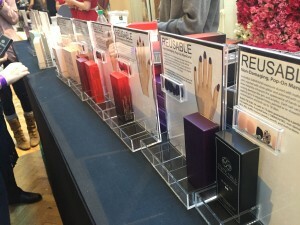 The only booth completely focused on nails, Static Nails are sets of pre-designed nails that are marketed as reusable up to six times, and boast an up to eighteen day wear. The glue-on full cover nails include design options like Louboutin-esque red bottoms, Swarovski crystals, and charms. The glossy finish nails are acetone resistant, and the included glue is a proprietary formula that is marketed as non-damaging. We will be reviewing Static Nails later this year, so we can give you the low-down on their quality and wear time. Next, I visited a booth called London Brush Company, and figured I’d pick up some makeup brushes for my personal makeup bag, but I ended up scoring two of the coolest items of the whole day. At LBC, I found brush cocoons, which are small, net-like sleeves that slip over the bristles and protect the brush. I had been looking for something to protect my acrylic brushes inside my kit, and for $5-$10, it is well worth it to protect the investment. I then noticed a rack that was full of makeup brushes. I had recently thought about how nail techs realistically store their acrylic brushes upside down. We’ve all seen the brushes stuck in the arms of lamps, taped to desks, etc. The London Brush Company has a solution. What was originally designed as a brush drying rack after washing, the brush rack has many holes for storing, displaying, and drying brushes. But the best feature? Brushes can be stored upside down. Take a look at this Video to see it in action. The rack comes in two sizes, to hold 26 or 32 brushes, and comes apart to fold flat. You can also set it on its side and pull brushes out as needed during appointments. I then stopped by Crown Brush, who offers private label brushes, which is something I’m interested in someday. 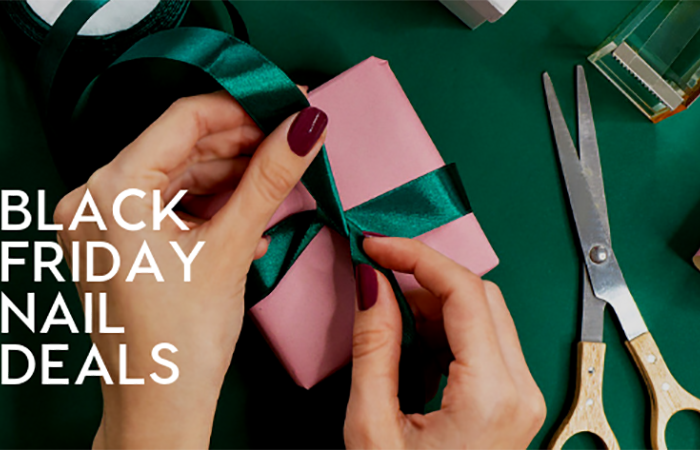 I grabbed the info, and some eye shadow brushes for myself, along with some disposable mascara spoolies to create interesting finishes and textures in my nail art. I like to be prepared for anything on set, which is why my kit weighs a ton. The Knot, the bridal juggernaut, was in attendance to advertise its artist network for brides. For a monthly fee, and a twelve month commitment ,you can advertise your on-location services for brides and bridal parties. The purchase I’m most excited about is the one I made at Makeup Forever. I’d been eyeing the Flash Color Cases for a few years, and I finally made them mine. The Flash Palettes are bright and metallic cream pigments that I can use to exactly color match a model’s skin tone and create a concealer to mask hangnails and scars. I’m really looking forward to using my color theory background to wow some makeup artists on set when I bust that out and mix something fun. Plus the colors give me infinite options in case I’m working on an editorial where I get to paint more than the nails. I also grabbed the Foundation Palette to use in a pinch when I can’t mix a custom match. My last great discovery was Besamé Cosmetics. Founded in 2004 by Gabriela Hernandez, Besamé Cosmetics are recreations of vintage makeup shades and formulations. Think of your grandmother’s vanity, and the glamour of the shades and the treasured, beautiful compacts. 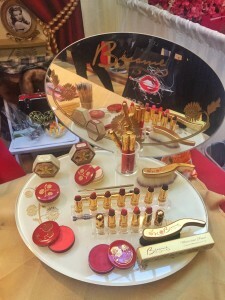 Besamé has a range of gorgeous lipsticks, powders, and recreations of vintage beauty tools. 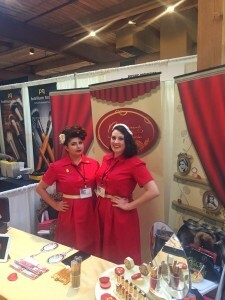 I got to check out Marilyn Monroe’s favorite lipstick shade, Red Hot Red, and speak with Besamé ambassadors. I did a fun live interview with the ladies of Besamé, so make sure you’re following us on Periscope so you don’t miss anything! 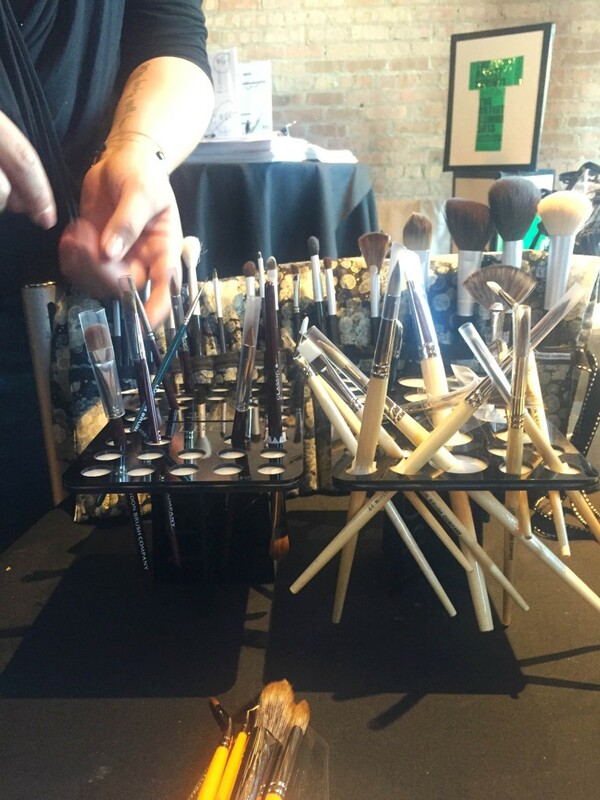 The Makeup Show is a must for those of you who work behind the scenes in the beauty industry. You will definitely need to be creative and find ways to repurpose items intended for makeup artists, but it is a fun challenge. 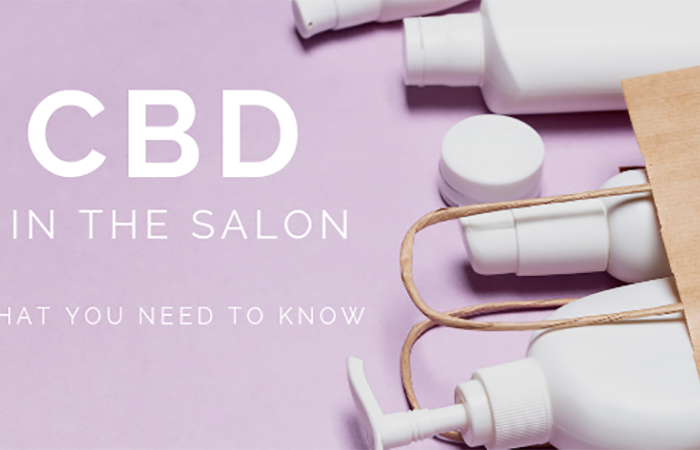 Another great perk of attending The Makeup Show is that you can enroll in many brands’ pro programs, but be advised that you’ll need to provide a license or pro credential to purchase tickets to the show itself. I’m looking forward to finding even more way to use pro makeup products in my kit going forward. I will also sign up for more educational opportunities next year. There were some great seminars about branding yourself, and how to prepare yourself to work at fashion week. I signed up too late, and everything was sold out, but the classes were tempting and well-attended. The Makeup Show visits New York next for a pop-up shop December 12-13, 2015, then Orlando January 30-31, 2016, Los Angeles March 19-20, 2016, New York May 1-2, 2016, Dallas September 24-25, 2016, and will return to Chicago next year November 5-6, 2016.